Join us for Balance, Leadership, and Liberation, a 200 hour Yin Yoga training in Alameda California, July 29-August 23, 2019, hosted at Leela Yoga Alameda. This training is a collaboration between Love Light Yoga and The Equity Collective. Founders Danielle and Dia have joined forces to explore the overlaps and intersections between the physical tension, the subtle body, inner transformation and systems of power. Expanding on 5 years of collaboration and curriculum development, they will support participants in a deep dive of interconnection. Led in collaboration with a stellar team of yogis, participants will explore balance in process, leadership in life, and the practice of liberation. This training is an opportunity to embody transformation, physically and socially. It is a space to experience yoga practice and philosophy, both, on and off the mat. Save the dates in Kingston at True Self. Popping up the Yin Class and Pop Up Shop on April 12th and May 3rd. Save the dates. Shop at 5:30pm and Yin Class at 6:15pm. Hope you can join us for soaps, essential oils we distilled here in St Mary, hydrosols and special delights. I hope you can join us. Advanced Yin: Variations and Props. Join Danielle Hoogenboom for this immersive experience that will explore the variations and diversity in making yin yoga work for different bodies, abilities and intentions. This course will breakdown the main yin yoga shapes and offer you creative and intelligent ways to modify and adapt these shapes, as well as integrating more props into your teaching and practice. Join us to advance your yin capacities and understandings as you expand your abilities to share this style with others on a deeper level. Guest teacher Ashley Eden, who offers Craniosacral Therapy, will visit us for a day sharing how we store trauma in our body, the impact trauma has on our nervous system, and our own internal wisdom's ability and capacity to release this trauma stored in the tissue. Ashley will facilitate Craniosacral Therapy; offering optional hands on work, during a yin restorative practice, and will close with a group integrative dialogue. This program is for teachers seeking more experience, for curious students looking to deepen their practices and of course for yin lovers looking for a weekend filled with deep diving experiential learning. Previous experience with yin yoga is highly recommended. Counts as CEU credits with YA or as hours towards Love Light Yoga's 200 Hour Yin School. Dec 9th: 2-5:30pm AND 6pm public class. Cost: $555. Location and Registration: Dharma Temple in Vancouver. Join Love Light Yoga and Friends for this seasonal sale and gathering. Check out the LLY locally made bamboo and organic cotton clothes and yin yoga props, natural tonics, tinctures and bath oils, scented soy candles, crystal malas and custom creations. Also featuring artisan small batch essential oils we distilled in Jamaica (join us for the distillation series in 2019), and also a delightful variety of products from Jamaican artisans and crafts from natural dyes, hand stitched bags and jewelry from seeds, bamboo and wood. Plenty of calabash and hand woven baskets. We also will be doing live sales via Instagram those nights, so stay tuned and support some badass creatives businesses and the arts. Come yinjoy an evening of vibes and music with vegan snacks. Live music with Tonye Aganaba each night with her beautiful sounds and her excellent merchandise. Join us for this mellow shopping also includes gift certificates for local healers and designers (bless UP the LLY Team!) and nice vibes. Join us for special teas, great conversations and good community vibes. We will be going love on the lovelightyoga IG, so join us! Looking forward to hosting another special Sunday edition of Yin and Chocolate on November 11th. The last version, we modified and made it a chocolate buffet, with vegan delights from Eternal Abundance and Gorilla Foods! What a joy to pick your favourites and fill your plate AND Halfmoon Yoga gifted each one of our guests their own yoga strap. I also gifted an artisan chocolate bar to take home from East Van Roasters! Was an epic and delightful afternoon and I am stoked to be creating the next yinidition. Space is limited and this event sells out each time, so please register early! Looking forward to offering this again on November 11th from 1:30 to 4:30pm at Unity Yoga. I am very honoured and excited to be presenting and creating with Ryan Thompson again this year. We have co-taught together many times over the last 8 years in a few countries and I am stoked to be offering this 4 part series of Yin and Acupuncture in Vancouver with him. Not only is he a wonderful teacher and practitioner, he is also one of the main parts of my personal healing time. Acupuncture has been wonderfully helpful over the last years and I highly encourage adding it to your self care and wellness practices. This special Sunday series is a mix of community acupuncture and yin yoga to help transition the seasons and keep our systems strong and supported. We will be having group acupuncture from 1:30-3pm, followed by a yin yoga class of long holds from 3-4:30pm. This combo of wellness is certain to fill your cup and nourish your inner worlds. You can join us for one session, or pick the full package. and Danielle bring the yoga vibes and the musical meditations to clubs, festivals and new spaces and are stoked for this all ages offering. This will surely light your heart, set you free and inspire your path. Reggae is more than music, it's a lifestyle and philosophy. One Yoga Vancouver. October 20th. 7:30pm-9:30pm. Information and registration here. festivals and new spaces and are stoked for this all ages offering. This will surely light your heart, set you free and inspire your path. Reggae is more than music, it's a lifestyle and philosophy. VERY Excited to be presenting Yin and Social Justice at Hollyhock on Cortes Island, BC in September 2018. Join us September 23-28th, 2018. You can read more. Dia Penning and Danielle Hoogenboom with our badass guest teacher in the last YY&SJ training with Chastity Davis. Calling all rebels, leaders, healers, seekers and knowers. How do we confront and contain our energy, while making our bodies conduits for change? What does it take to create change, both internal and external? Let’s gather together to explore the complex, awkward, covert, and paradox as medicine for change. Free the tension in your body and spirit, allowing space to renew, refresh and see with new eyes. Navigating our changing world and living a life of equity and social justice can be challenging. Like yoga, social justice requires practice in order to overcome long-held habits. Bringing our contemplation and yoga practices into our work, relationships and communities, allows a deeper examination of the privileges, biases, and structures that keep inequity in place. During this 5-day program we will demonstrate how focusing on energy meridians and our physical bodies and sensations can serve as an example for energy changes in our organizations and communities. We will examine how attention and intention align with impact; how changes in behaviour create changes in interpersonal relationships, community interaction, and larger social structures. The hours count as CEU with Yoga Alliance, or can applied towards the completion of LLY 200 Yin Yoga School. Dia Penning is the founder of Equity Collective and the Director of Curriculum at World Trust Educational Services. She dances in the intersections of art, yoga, and social justice. A yoga practitioner for over 20 years, she discovered her love of yoga through a book she checked out from a local library. Dia supports students in slowing down, examining limiting patterns, and exploring creativity. She views yoga as a tool for social change, integrating it into her work as a social justice coach and curriculum developer, by encouraging a deep exploration of structural inequity through personal transformation and paradigm shift. Dia has held leadership positions with the San Francisco Arts Commission, The Center for Innovation in Technology and Education at Columbia College Chicago, and the Center for Art and Public Life at California College of the Arts. With a Master in Interdisciplinary Arts, Dia is a connector. She draws together, ideas, people, thoughts, and feelings by using breath work, the arts, media literacy, and strategic dialogue. This approach gets at the heart of assumptions and habitual behaviour. She works with teams, over time, to assuage their fear of change by building ideas, like blocks, and giving people time to reflect, respond, and question. Looking forward to this last edition of yin classes in Jamaica. What a joy of a time spending the last 6 months here non stop. Going to miss so many great parts and pieces and people, but sooooon come! Last offering is a True Self on July 11th. Class is 7:15pm til 8:30pm. I will also be popping up an essential oil, homemade herbal soap and beewax candle pop up show from 6pm til 7pm. Hope you are join us! Come and join Danielle for a special market experience in Jamaica. Love Light Yoga is setting up at this locally made, grown and sewn market with other artists and makers and repping Yerba Buena Farms. We have been learning distillation there with the Jamaica Essential Oil Distillation Project for the last six months and super excited to be sharing the medicines we have been making. Come and check out our tinctures, lotions, potions, brews and homemade chocolate jars on July 8th. We will have sample herbal first aid kits that we are sampling and orders for. Reach out if you can't make the market but want to order. Come and smell our oils and take on the aromatherapy and even check out the market at True Self on July 11th for special order pick up market 6-7pm in Kingston. Join us at Fortune once again for a very special edition of Vancouver's original sound-powered yoga experience - Sound Salutations: with guest teacher Ebony Smith: founder of Yoga N Da Hood coming all the way from Dallas, Texas to share the vibes. Yoga N Da Hood is an organization dedicated to making wellness accessible to everyone by using yoga as tool to develop compassionate, healthy, and mindful individuals, families, organizations, and communities. Yoga N Da Hood was founded by Ebony Smith aka The Ghetto Guru, a certified Trauma Informed Yoga Instructor and Wellness Coach. It exists as a wellness outreach organization that teaches people in under-served communities the art of self healing, self talk and self love through the practice of Yoga and Mindfulness. They offer free Yoga and Meditation classes with a mission to equip individuals with the tools to empower their own life. They are also raising funds to purchase a school bus which will be transformed into a mobile yoga studio for children. Providing the beats as always is Tank Gyal, Vancouver's notorious Reggae Dancehall Queen and creator and resident of the city's longest-running reggae dancehall weekly: Thursday Ting (taking place weekly at the Waldorf Tiki Room). You can also catch Ebony and Tank Gyal laying down a free outdoor sound-powered yoga jam opening up the Denman Street Car Free Festival on Saturday June 16th at 12pm. Details on the exact location coming soon, also stay tuned for pop-classes by Ebony the weekend of June 16-17. Doors @ 5:30pm, Class @ 6-7:30pm. Admission is by sliding scale ($10 minimum). Tickets available online or at the door. Bring your mat and your Irie vibes. 100% of proceeds go to Yoga N Da Hood, thanks again to the good folks at Fortune for donating the space. Come experience Vancouver's original sound-powered yoga -Sound Salutations: Reggae Yoga! This month we're fundraising for Dallas, Texas-based non-profit Yoga N Da Hood; an organization dedicated to making wellness accessible to everyone by using yoga as tool to develop compassionate, healthy, and mindful individuals, families, organizations, and communities. Our fearless Yogi leader Danielle is still away in Jamaica so this month our sub teacher is Dharma Temple's Sina Shalbaf. Providing the beats as always is Tank Gyal, Vancouver's notorious Reggae Dancehall Queen and creator and resident of the city's longest-running reggae dancehall weekly: Thursday Ting (taking place weekly at the Waldorf Tiki Room). Thanks again to Fortune for donating the space, because of this and the generosity of everyone involved we are able to donate 100% of the event's proceeds to the cause. 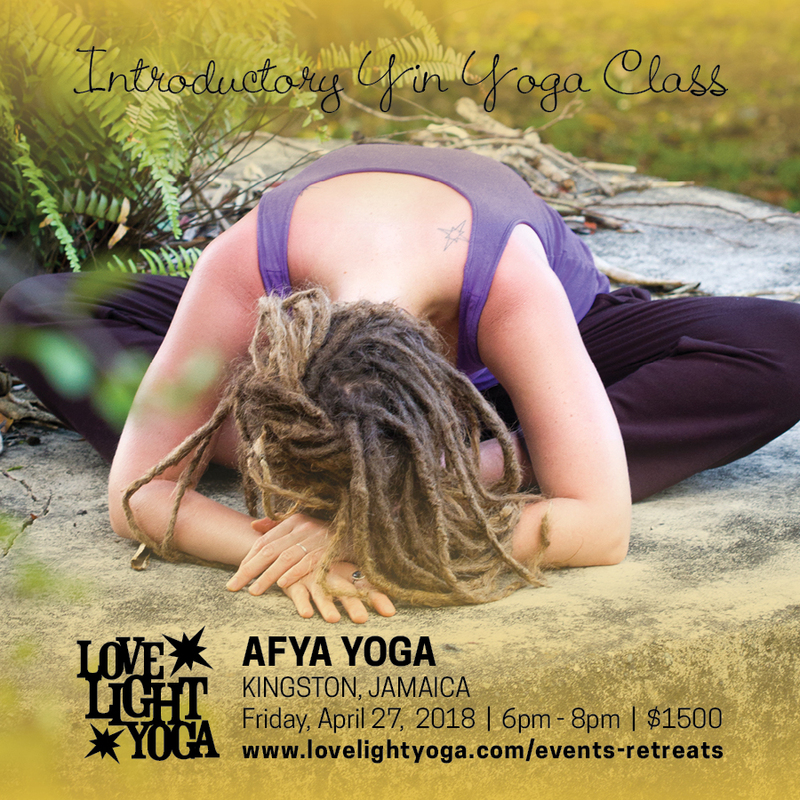 Full Moon Yin at Afya Yoga in Kingston. Last Day for Early Bird: April 22nd. We are very pleased to release our Jamaica 2018 New Moon Yin Retreat dates. These plant-based yoga retreats are taking place on vegan permaculture farm on the sea. Twice daily yoga, vegan meals and natural remedies on a permaculture farm on the sea! These events will be empowering, healing and educational. Join us in learning how to identify and properly harvest natural medicines and distill their essential oils, make lotions and salves, make roots tonics, go on nature walks to study the ethobotanical and medical properties of plants as you immerse in nature and natural healing. Very excited to be hosting this series with my friends on the North Coast of Jamaica focusing on modern day Rasta lifestyle and connected to the spirit of nature. Our yin practices will be on the elements and emotions and our daily teas, steams and tonics will reflect that work. Looking well forward to bridging natural livity with body re-education and a moment to reset your inner and outter . Bee keeping, plantain bread, long hikes to waterfalls, reasonings around the fire and depending on which retreat you join us on. MANGOS! YES PLEASE. Can you feel it. And Coconuts, so many coconuts. WE have an 'Early Babe' presale here. check it out! Dates for the New Moons in 2018 are below. We are limited to 12 people in shared rooms per event with possibilities of private rooms at an extra cost. It is 7 nights of accommodation on the farm, with possible options of staying longer or arriving early. BLISS. All the showers are outdoors, all the food is organic and vegan and the water is spring water...we have flushing outdoor toilets, lots of farm space to walk, a natural outdoor oven for homemade breads and swimming right on the property. Come and join us on the farm while you make and immerse in natural medicines and a real roots family vibe. The Ital is Vital and we are ready to welcome you. Questions? danielle@lovelightyoga.com. Interested in booked a group or different dates as well. Be in touch. Join us in St Mary, Jamaica for a special weekend immersion retreat series of essential oil distillation education, vegan meals and time in nature. 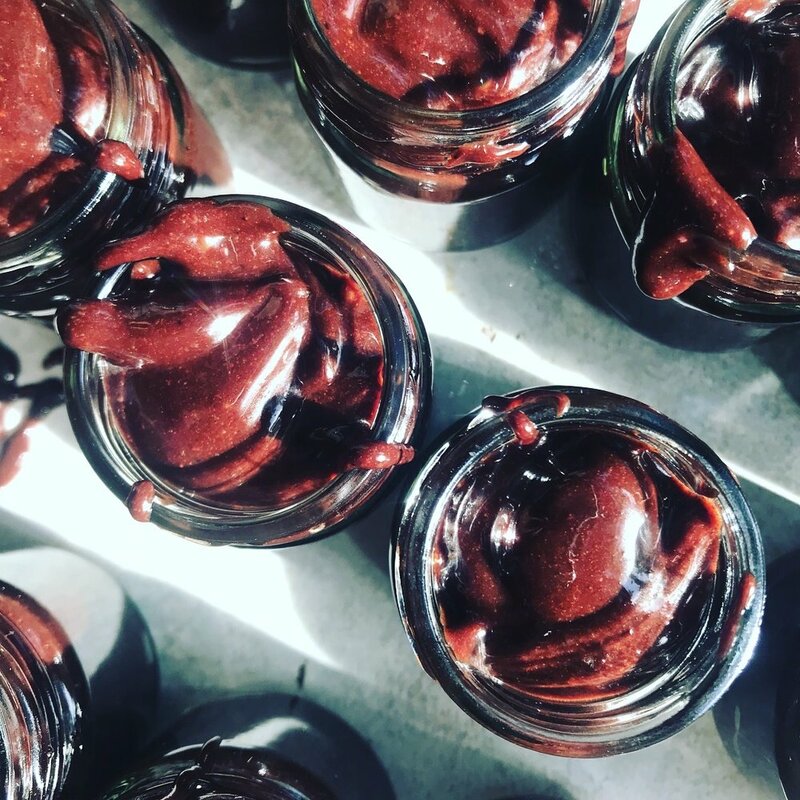 Learn how to prepare and distil essential oils from Jamaican plants and the power of plant medicine and the ways we can work with them to heal ourselves and the world around us. Join us for weekend of retreat or for day retreat. Accommodations are shared on our permaculture farm on the sea, with flushing toilets and natural spring water and roots family vibes. Retreat Package: $250USD: Themed distillation workshop begins Saturday morning at 10am. Includes vegan lunch and dinner and shared accommodation on Saturday night. On Sunday, themed workshop continues with breakfast and lunch provided. Option available to add another nights stay on Friday or Sunday. Day Rate Only: $100USD Includes Distillation Workshops as well as a vegan lunch and dinner. 10am start each day. Joining on Saturday would ensure you get the introduction to the weekend theme. Hands on distillation of two locals plants over 2 days. Work with hot and heavier than water oils in two distillations over two days. Work with two plants over two days. Purposefully combining two or more plants for unique blends. Construct two co-distillations over two days. Join us for another edition of Reggae Yoga, this one a fundraiser for the amazing Alpha Boys School in Kingston Jamaica. Come experience Vancouver's original sound-powered yoga experience SOUND SALUTATIONS Reggae Yoga on March 5th and feel extra Irie about it as we're donating 100% of the proceeds to Alpha Boys School. Doors at 6:30pm. Class 7-9pm. Bring your own mat and your irie vibes. Tank Gyal is bringing the great beats and Reno is bringing the excellence that is Reggae Yoga as our guest teacher for this edition. Tiaga Prem is the co founder and director of Dharma Temple on Main Street in Vancouver BC. He is a dedicated teacher and scholar who has spent the past 20 years uncovering what it means to live a spiritually inspired - abundant life. @TiagaPrem on IG. Event Photo by Robynne Van der Vegte. Join Danielle Hoogenboom for a Yin Yoga Teacher Training that is open to all levels and interests for curious students, new and experienced teachers and those in search of personal well being. Learn about the philosophy, Roots of Yin, a lifestyle and practice for our yoga mats, to heal our world and our relationships through social justice. This course includes practice, theory, presentations and homework. Yin Yoga is a style of yoga that enjoys long slow holds to disrupt stagnation in our fascia, meridians, emotions and targets experiences that impact our relationships and connections in the world. We learn how to release, reset our patterns and renew as we ready ourselves for the revolution. Yin is the small, steady and collected practice of self knowledge that mounts into powerful, massive shifts. We will cultivate an energetic understanding of how our inner and outer worlds relate and how we can promote healing as we become healers and teachers. This 20 hour Teacher Training course is a stand alone certification, or the hours spent can count towards completing your 200 Hour with Love Light Yoga School, or CEU. Combining empress forces for an epic sound-powered yoga experience at Fortune Sound Club. Bring your own mat, and lively up yourself with this vinyasa and yin reggae yoga event in Vancouver’s most decadent sound system. Come and let the music move you, for sure there is a dance party! Come along, leave your shoes and worries at the door. Tank Gyal is a Vancouver-born-and-raised DJ and event promoter. She is the creator and resident of Vancouver's longest running reggae dancehall weekly, Ting, which has been rocking every Thursday for over 10 years. She is also the First Lady of Vancouver's Lightal Sound. For a few years, I was running a two day urban retreat in Vancouver to shift the seasons between xmas and NYE, I took a small pause and thanks to a special request, we are popping it up again! Thank you yinnies for the call to create this again! Come and join us for two yin classes, a vegan lunch and with a sweet with some great offerings as we transition from 2017 to 2018....maybe build the greatest yinfort you ever have? Letting GO and letting IN (or yin) come along for one or both days with special creative offerings and inspirations. 2017 has been such an interesting year for so many, lets call in some great reflections, new resources and fill our cups with the deep knowing that that lessons make the life and the compost grows the greatest gardens. Looking forward to welcoming you to this last yin offering of 2017 with great community, important lessons and a pause to reflection. Like a bow and arrow, you need to retreat to advance! Dec 30 and 31, 2017. Vancouver. BC. Different meal and programming each day! 1:15-2pm: Vegan Lunch. Organic and Ital. Hot Chocolate. Cost: $300 for the weekend, or $160 per day. for the last Reggae Yoga of 2017 on Dec 4th. Doors at 6:30pm. Class 7-9pm. A mixed levels class with the BEST sound in town, and a side of dance party with your irie friends! Invite your friends on FB as well. We are collecting items and cash donations and 100% of the proceeds will got to the Downtown Eastside Women's Centre. Thank you Fortune Sound Club for donating the space. Tickets can be purchased here, and if you are not able to contribute to the ticket price, please reach out to volunteer. Cash is also accepted at the door. We are collecting donations and funds and hoping you are share this event and collect on behalf of your friends that can't attend. Check out the list of supplies we are calling out for. Eventbrite Tickets are sliding scale and by donation. Come along and bring funds and donations if you can. Cash accepted at the door as well as credit cards. Facebook event is here, so gwaaan and invite your friends to this event on Nov 8th in Vancouver. Come experience Vancouver's original sound-powered yoga experience SOUND SALUTATIONS Reggae Yoga on November 8th and feel extra Irie about it as we're donating 100% of the proceeds towards hurricane relief/rebuilding efforts in the Caribbean island of Dominica. After the devastating destruction of Hurricane Maria, a Category 5 storm system which hit the Eastern Caribbean on September 18th 2017, the small island of Dominica is in dire need of support and aid. The island is still without power or running water. The food supply has been disrupted and will be in a state of emergency for months to come. At this time, allies and Dominican family members based in Vancouver are collecting goods, and funds to ship a container of donations to support Dominicans in their survival, cleanup and re- build. All goods will be sent to community leaders directly for distribution as a means to encourage local leadership as well as to ensure those who need it most are not forgotten. As the local economy has been greatly affected, donations of goods are more helpful than funds at this time. Any funds raised will be put directly to shipping costs and to purchase high priority goods. -Bottles and feeding tools for babies. A big THANK YOU to Fortune Sound Club who has generously donated the space to us. Combining empress forces for an epic sound-powered yoga experience at Fortune Sound Club. Bring your own mat, and lively up yourself with this vinyasa and yin reggae yoga event in Vancouver’s most decadent sound system. Come and let the music move you, for sure there is a dance party. Come along, leave your shoes and worries at the door. Join Danielle for a special Sunday at Unity Yoga for an offering of Yin Yoga and Fair Trade and organic VEGAN chocolate from East Van Roasters . This workshop will have a few layers of chocolate testing, hot cocoa and a bar for you to take home. EVR is an amazing social venture in Vancouver you should check it out. Space is limited for this workshop, so please pre-reg here. Excited to be sharing two of the most beautiful things in this world: long slow holds mixed with slow made, hand crafted chocolate that support local and international communities. Join Danielle and Dia for a race, equity and inclusion investigation using the lens of yin yoga as a tool for liberation and equality. Engage in this intentionally radical look at how privilege, habitual patterns and physical holding play out as injustice in the world. How do we confront and contain our energy, while making our bodies conduits for change? What does it take to create change, both internal and external? This workshop is designed for yoga teachers, curious students, activists, and seekers of all levels. The hours count as CEU with Yoga Alliance, or can applied towards the completion of LLY 200 Yin Yoga School. Dia dances in the intersections of art, yoga, and social justice. A yoga practitioner for over 20 years, she discovered her love of yoga through a book she checked out from a local library. Dia supports students in slowing down, examining limiting patterns, and exploring creativity. She views yoga as a tool for social change, integrating it into her work as a social justice coach by encouraging a deep exploration of structural inequity through personal transformation and paradigm shift. Dia is a connector of ideas, people, feelings, and thoughts. She is a mother, yogi, artist, activist, lover, teacher and student. She recognizes that her students share similarly complex identities and strives to meet them where they are at, every day. Danielle Hoogenboom founded Love Light Yoga as an expression of her yoga practice and creative interests both on and off the mat. She is passionate aboutyin yoga and its ability to heal, change and transform ourselves and the world around us. Believing that all people are invited to the healing of yoga, Danielle teaches a diverse schedule of classes and workshops that range from the practical theory to the mystical and sacred parts of yoga. She is certified in Hatha Yoga, Yin Yoga, Prenatal Yoga andVinyasa Lotus Flow. She teaches in studios across Vancouver and often travels to teach aboard, share, celebrate and connect. She teaches Yin Yoga workshops worldwide sharing her passion for a gentle, steady practice. Chastity Davis is a mixed heritage woman of First Nations and European descent. She is a proud member of the Tla’amin Nation, located in Powell River just off the beautiful Sunshine Coast of BC. Chastity strives to keep her sacred First Nations culture, traditions, and values incorporated into her modern day life. She feels it is her life purpose to facilitate the building of bridges between Aboriginal and non-Aboriginal people and has dedicated her professional and personal life to do so. Chastity is sole proprietor to her own consulting business, Chastity Davis Consulting and has been a successful entrepreneur for 6+ years. She is a board member at the Minerva Foundation and Chair of the Ministers Advisory Council on Aboriginal Women. 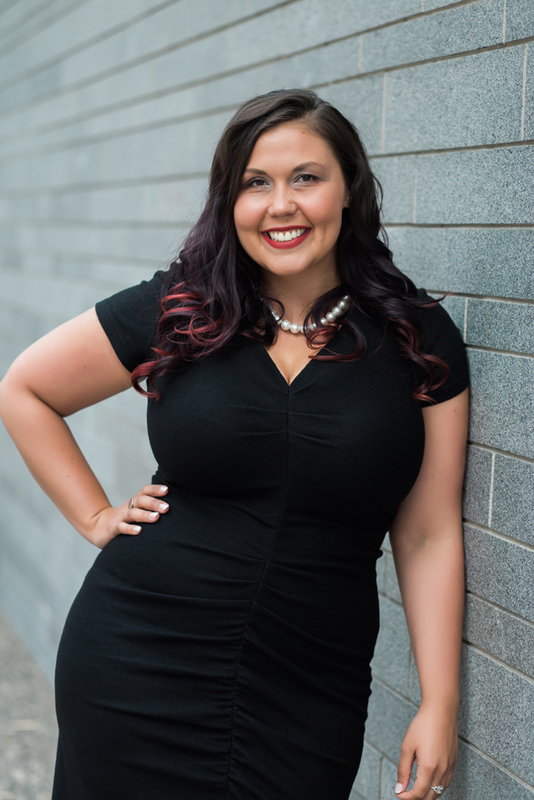 Chastity co-founded the Professional Aboriginal Women’s Network and is currently serving as Co-Chair for this important network that creates a shared space for Aboriginal and non-Aboriginal women to support each other in their respective careers. Chastity will be completing her MA in International and Intercultural Communications in Spring 2017, has a BA in Professional Communications and a Diploma in Marketing Management and Professional Sales. Chastity has spoken at several international, national, and local events on the importance of building bridges between Indigenous and non-Indigenous peoples. She dedicates her work to her 2 nephews, niece, and 10 year-old brother, as they are the future generations. There is a two steps down at the entrance. We are happy to add a small ramp, if needed. August 24th to August 27th. 9am-6pm daily. Please note that Saturday's group project will run until 9pm on the 26th. Limited scholarships and work trades available, fill out this form to apply. Would you like to sponsor a teacher? Have a local business that would like to offer support? Please send a note to Danielle@lovelightyoga.com to see the best ways you can get involved. Assisting Seane Corn at Wanderlust Whistler again! Looking forward to seeing the yogis coming up the mountains again for some excellent days of yoga and music. I have been assisting Sean for years at Wanderlust and have taught for a few years as well. This is pretty much a yoga buffet, so come and fill the cup UP! Reggae Yoga at Bass Coast! We're teaming up with Sound Salutations to present Yoga on Dub! This event is a holistic festival experience bringing reggae, yoga and the revolution to mats, dance floors and hearts. Part class, part concert, part party, all irie. Come along! Experience the ancient practice of Kemetic Yoga with Jamaican reggae artist Jah9 and her live band, The Dub Treatment. Unroll your mat and unite through slow-tempo dub in this class with asana, song, meditation and reasoning in the modified Fortune Sound Club studio. This offering is guided by Jah9 along with local teacher Danielle Hoogenboom. We welcome Chastity Davis again for our opening welcome ceremony and land acknowledgment. This intimate evening offers vegan food, special surprises and a conscious marketplace. Come for the class and close the night down with an Omega Dancehall featuring Tank Gyal and Mandai, with mic guests including Raw Speakhers and Magic T of the Red Gold and Green Machine. Check out Jah9 and The Dub Treatment in Victoria on June 14th and back in Vancouver with Tarrus on June 15th! Deeply mystical, Jah9 has emerged from a chrysalis of poetry, dub and spirit to become a powerful femiNINE energy within a universal grassroots movement of consciousness. Inspired by the open spaces in the instrumental dub of 1970’s Jamaican roots music, Jah9 sings with a voice that belies the dimensions of her physical body, from a soul much older than its current vessel; “reminiscent of that darkly operatic wailer for truth & justice, Nina Simone.” Her philosophy–profoundly spiritual, and her style–Jazz on Dub. Tank Gyal is a Vancouver-born-and-raised DJ and event promoter. She is the creator and resident of Vancouver's longest-running reggae dancehall weekly Ting, which has been rocking every Thursday for nearly 10 years (now at the Waldorf Tiki Bar). She is also the First Lady of Vancouver's notorious Lighta! Sound. Tank Gyal has played shows in places far and wide including Jamaica, Mexico, Switzerland, Miami, Las Vegas, Seattle, Bellingham, Whistler, Victoria, and all over the Lower Mainland and has performed at landmark music events such as Damian Marley's Welcome to Jamrock Reggae Cruise, Victoria Ska & Reggae Fest, Shambhala, Bass Coast, Diversity, Conscious Culture Fest, Car Free Day, and 420 and Cannabis Day Celebrations at the Vancouver Art Gallery. Tank Gyal has opened for many toppa top artists including Beenie Man, Lady Saw, Konshens, Mavado, Gyptian, Chronixx, Baby Cham, Spragga Benz, Mr. Vegas, Elephant Man, Kabaka Pyramid, Tanya Stephens, Tifa, Bugle, Wayne Wonder, Luciano, Macka Diamond, QQ, Richie Spice, Third World, The Wailers, Inner Circle, Papa Michigan, Khago, Collie Buddz, Gappy Ranks, Ranking Joe, Serani and more. Her DJ sets are a rapid fire throwdown of the hottest Jamaican music from the past, present and future. Tank Gyal always attracts the ladies to the dancefloor but can rock the turntables as hard as any man. Originally inspired by the rhythms that carried her in travels through Africa, then by the underground dancehall scene in Vancouver, she spent countless hours elbow-deep in crates of '45s in Canada, the US and Jamaica and her selections firmly solidified her as one of the Lighta! crew's artists. She is well-known for her legendary mixes, some being all-vinyl releases which is her true love. Blending reggae/dancehall classics with newer gems and dub plates acquired while in Jamaica, she stays loyal to the island vibes. With each year her love of music deepens and she is expanding to include more rap/hip-hop/RnB/grime/bass music in her sets. She regularly performs at Bass Coast, Shambhala and her family-run festival The Field. She has opened for well-known artists in both the reggae/dancehall and international underground music scenes, frequents Thursday Ting in Vancouver and can be found behind the decks at underground parties spanning the west coast and several other major musical hubs. In 2012 she gave birth to Lighta's youngest little member. bup!bup! Join us for the newest ital offering One.Drop Sundays of this season, bringing you a special series of Reggae Yoga Brunch at the new Gorilla Food location for an irie Sunday moment that gathers conscious minds/mouths for conscious moments. Come and catch a vibe and a taste of the new menu with your italist family! Lt. Irie IrieDubs will be spinning the ital reggae tunes all day, Danielle Hoogenboom of Love Light Yoga bringing the yoga vibes to start the vibrations and Snack General himself Aaron Ash dishing out the live food brunch. Join us for this special event on May 28th and June 4th. BYOM (bring your own mat). Join us for one or both! Tickets on here for both May 28th and June 4th. Come and join us for all levels and all ages event from 9am to 2pm with tunes. First special brunch sitting for yogis at 11am, stay for your snack or stay all day. Conscious Pop Up Market with Love Light Yoga coming at you, and pre order your G-Food Box Meal Delivery. Perfect post Calabash Regge night medz in the am if you spent Saturday with LT.
Gorilla Food is bringing the ital snack vibrations for the Love Light Yoga/Sound Salutations co-lab of EPIC sizes June 13 at Fortune Sound Club with female reggae vocalist Jah9 and The Dub Treatment for Yoga on Dub. An urban festival experience in Vancouver.